From tomorrow until September 21st you can visit my friend Paula Lindblom‘s exhibition at Sintra Gallery in Gothenburg. 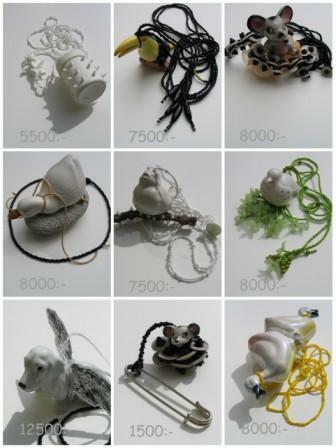 Des d’avui fins el 21 de setembre es pot visitar l’exposició de la meva amiga Paula Lindblom a la galeria Sintra de Gothenburg. This entry was posted by Montserrat Lacomba at 8:01 am. | This post has 2 responses. 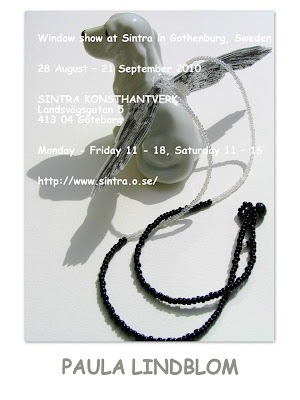 This post is filed under Blog, Exhibitions, Sweden and tagged with contemporary jewelry, Paula Lindblom, Sintra Gallery. I’m so grateful that you add me at your blog. I like your brothers painting of Barcelona, really really good! Perhaps I have to reduce the number of posts on the front page, I'll try it. I'm glad you like my brother's painting!